Stash , which saw its biggest competitor raise $105m earlier this week, announced the roll out of a suite of new and improved features for its 3M+ clients. 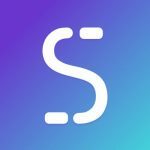 Founded in 2015 with ~$116m in funding, Stash is a personal finance app helping millennials save and invest small amounts. The startup offers different features such as investing, retirement accounts, and banking services. The new features include ‘Round-Ups’ – similar to Acorns, Stash will round-up purchases to the nearest dollar and transfer the spare change to the customer’s personal investment account. The company is also offering 10% cash back on everyday purchases at participating retailers, a simplified portfolio building experience, and ‘Smart-Stash’ – a spending and earning analysis tool that learns when customers have extra cash to spare. “It’s not just about a feature set. Helping people get started saving, in whatever way is most convenient for them, has been core to our mission. By leveraging data and smart technology, we hope to help the ~80% of Americans who are living paycheck to paycheck* save more as they live their lives. By automating saving tools — whether Cash Back, Round-Ups or Smart-Stash — Stash customers can save more money and invest for a better financial future.” – CEO & Co-Founder of Stash, Brandon Krieg.